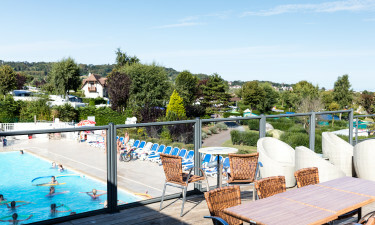 The luxury camping resort of La Vallée is located upon the tranquil Normandy coastline and is an ideal spot for anyone who is searching for an unforgettable camping holiday. To appreciate more of what La Vallée has to offer, please visit LUX-camp and speak with a representative. 11 hectares of privacy within natural surroundings. 365 individual pitches and mobile homes to select. Sailing and surfing activities located nearby. 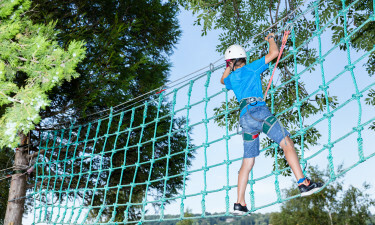 One of the most attractive aspects of this holiday camping site is that it is found only a single kilometre away from the pristine shores of Normandy. While the waters here may not be ideal for swimming at all times, those who are enthusiasts of sailing and surfing will be in for a treat. There is a nearby boat hire service for anyone who may be interested in such excursions. This luxury camping site addresses the needs of each guest thanks to a wide range of modern amenities. Each of the mobile homes is equipped with a standalone power supply as well as a direct waste water connection. Gas bottle exchanges are located within this resort and as should be expected, wireless Internet is included at no extra charge. Infant changing rooms are available for those who plan on bringing along a baby and a complete laundrette enables families to wash and dry their clothes during a stay. While these levels of camping luxury should never be overlooked, it is also important to recall that the leisure activities on and near this amazing site are just as attractive. Guests can enjoy tennis, table tennis, volleyball and swimming in an open-air pool. Activities only a short distance away include golf, angling and diving. Live entertainment for children as well as a playground will help to make certain that the needs of any little ones are likewise catered to at all times. The campsite also offers a great poolarea both indoor and outside. At the outside area there is to be found a family pool and a childrens pool. 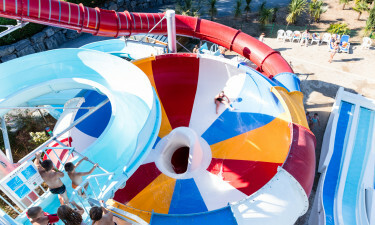 Furthermore La Vallée has made a brand new 5-lane waterslide, which is located away from the pools, so it does not disturb. The waterslides will put a smile on everyones face! The poolarea inside can be used for the days, where the weather is bad. You could also jump in the jacuzzi. Visitors will never go hungry when staying at this holiday camping site. There is a fully equipped restaurant that is able to offer up tasty dishes from Normandy alongside traditional favourites from the United Kingdom and Europe. 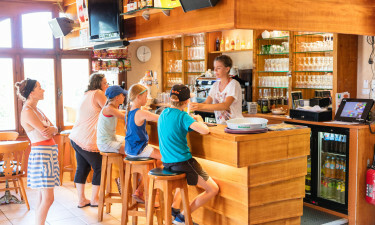 A bar is also found within this establishment; ideal for a tasty drink, an after-dinner cocktail or should a visitor wish to catch up on the latest live sporting events (thanks to a flat-screen television). A supermarket will offer up all of the necessary provisions that one would expect during any camping holiday. Freshly baked bread, fruits and vegetables, meats and frozen goods are great options when dining within a mobile home. Other items include international newspapers, tobacco goods, toiletries and basic camping equipment. To fully appreciate all that this holiday camping site has in store, please do not hesitate to contact LUX-camp for further details.